Limbic System: an area of the human brain dealing with extreme emotions; also Harry S. Fulcher's band and album. John Rushmer's birthday garden party. 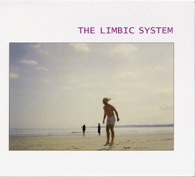 Fans John and Sandy Rushmer invited The Limbic System to play. It was a lovely evening, a lovely party and a great honour to be invited to share their day! Great fans have become great friends. I'm pleased to announce that The Levellers have asked me to be "the guvnor" of their horn section for future live gigs including The Beautiful Nights tour in March 2008. They've not toured with a horn section before. It is a thrill to join my old friends at such a great time in their lives. Harry S. Fulcher (reeds), Aaron Standon (sax, guitar), Pete Brandt (bass), Marco Anderson (traps, percussion) Special guest: Alex Maguire, piano. "......this is a group that doesn't just rely on heat and speed, but calls on a huge reservoir of musical thought. Brian Morton, Jazz Review magazine. "........ insight, focus and enviable chops." You can hear the Conspiracy Of Equals audio on the sounds page and buy the album from the shop page. and associated artists on the sounds page for downloading or streaming. Check 'em out! Harry Fulcher plays the Borgani "Joe Lovano" signature model tenor sax exclusively. "It is the most responsive and beautiful sounding horn I've ever played. Whatever I think, she's just played it!" Hand-hammered silver alloy horn, handmade by one craftsman from start to finish. Click on the image for a bigger picture. Borgani saxes are available exclusively in the UK by Allegro Music in Oxford. Roger Baycock and Chris run a good show there! Stream the show on your computer! The Kamasutra of Creative Music. Taran Singh is a hero of contemporary music!